The late-day sun shines through the trees and hits the grape leaves of showcase vines at Beringer, the last vineyard on our whirlwind tour of Napa Valley. The fog filled Napa Valley like soapsuds in a bathtub. It happened each morning of our two-morning stay in America's wine country. And the air was cold. I could see my breath - not a frequent sight in Florida. It was worrisome because my New York friend and I had a tee time at Napa Golf Course, the local municipal club where greens fees are a reasonable $30 for 18 holes. Rain seemed probable. But the fog lifted, and the sun was warm. In another sign of good fortune, the pro at the course gave us each a club rental for free. He had quoted a $20 fee when I called ahead, but he said, "They're so crappy, it wouldn't be right to charge you." I hadn't played golf in more than a year, so my game was rusty. As we sped around the course in a golf cart, we had good holes and bad holes. My friend parred one, which, as a newbie to the game, was an achievement. I do believe I hit a ball - or two - into that pond. The golf course provided expansive views of the hills buttressing the valley. Many of them were covered in golden brown grass. It had rained on the night of my arrival in San Francisco, and the local news station said it was the first time the valley had seen precipitation since January. We saw firetrucks on the roadside and heard of occasional forest fires on the news. As a Florida resident, I can't imagine not seeing, hearing, feeling the rain for 10 months. The dry season can be boring. 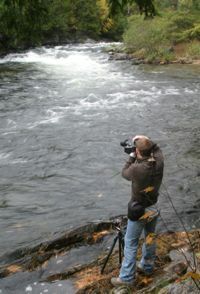 Aside from the extended climate, I began to see a certain likeness between northern California and a place I once lived. The evergreen trees, the rolling hills, the cool mornings: It felt like I was in Maine again. Of course, it doesn't get as cold in California as it does in Maine. But if the year-round weather was similar to what I experienced during my vacation, I could definitely get used to it. Midway through the back nine, we realized that our time to get the full Napa Valley experience was running short. It was almost 2 p.m., and we wanted to squeeze in a few more vineyards on top of our visit to Domaine Chandon the previous evening. It was our first and final full day to get it done. So, I did yet another of many firsts during this vacation: I cut my round of golf short. The horror. 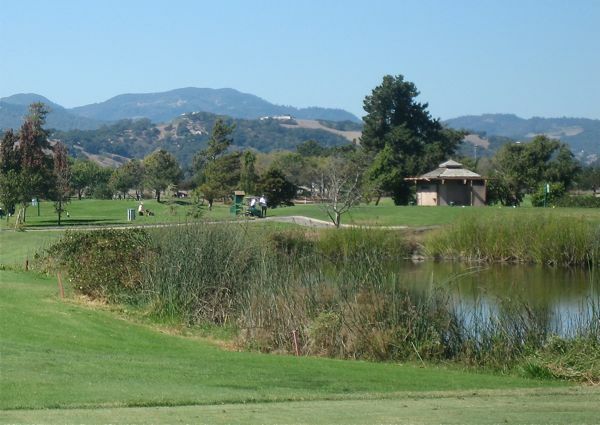 The only scheduled event on our Napa Valley itinerary was our golfing. We left the quality of our wine experience to serendipity. But really, you can't go wrong in a place so saturated with wineries. 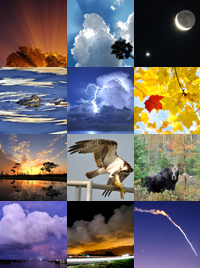 Choose one, and the experience will be different from the other and will be genuinely good in its own right. Rows of grapevines at a vineyard in Napa Valley. The golden hills are in the background. We had read in some hotel literature that Grgich Hills Estate in Rutherford was an intimate, family run place that was started by a man from Croatia. 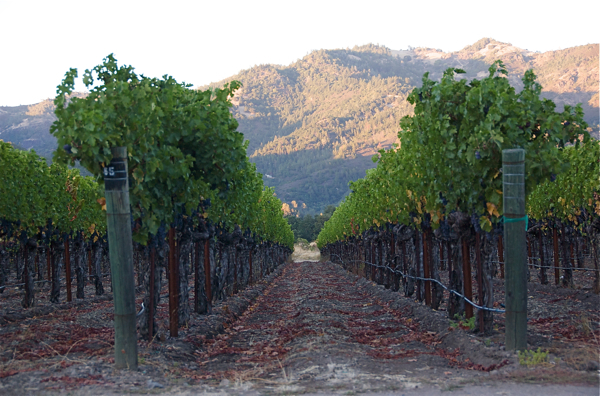 Actually, it was Grgich Hills that made Napa Valley known among the world's top wine-producing regions. 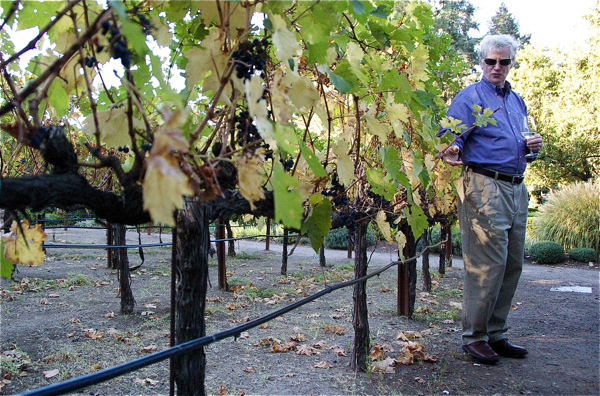 In 1976, in an event called the Judgment of Paris, Mike Grgich's chardonnay was chosen as the victor in a blind test. His snobby European competitors, thinking something was wrong with the results, ordered another tasting. Grgich won again. Or so said the young, good-looking lady who administered our tasting in the winery's small tasting room (my friend made sure to check her ring finger, which was predictably adorned with a golden wedding band). The tasting room is adjacent a larger room with giant metal canisters. The building itself smelled of fermentation - the good kind, of course. On the topic of fermentation, Grgich Hills says it's the best at it. 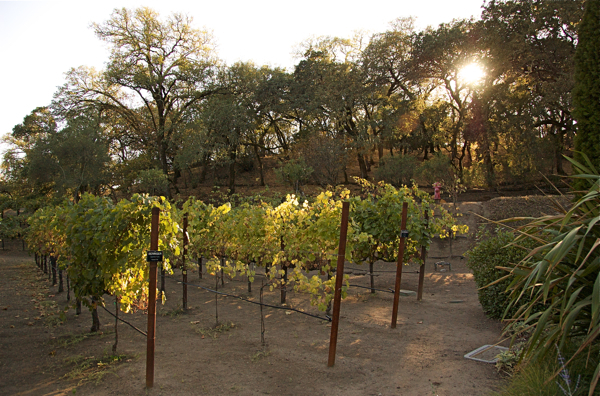 Instead of adding yeast, the winemakers use a trademarked process called Biodynamic farming. Its grapes have living yeast on their skins that allows for a natural fermentation. Grgich Hills fits in with this organic fad. But enough science, which I can't adequately explain anyway. What do my taste buds say? We were given - count 'em - five wines to taste from a selection of "current releases." I felt like I was at a movie screening, not a wine tasting. We got the 2006 chardonnay, 2007 fume blanc, 2005 zinfandel, 2004 merlot and the 2004 cabernet sauvignon. 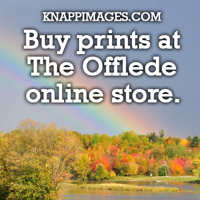 All are meant for the colder months of the year. If you've seen "Sideways," you'd know that Paul Giamatti's character, Miles, isn't a fan of merlot. "If anyone orders merlot, I'm leaving," he says. I'm not as much of a detractor, but I have to say that Grgich Hills' strongest wines are not their reds. The chardonnay was the best I've had. Our guide during this tour of tastes said the Grgich chardonnay turned her on to white wine. I could understand why. But the best was the fume blanc. It has the classic sauvignon blanc flavor of grapefruit, but it's tangy and more pronounced in Grgich Hills' take. It's not sweet, but the flavor is intense. I decided to buy a bottle and check my luggage for the first time in my life in order to take it back to Florida. You can get this stuff only in California; you can't find it in the wine section of Walmart. I had to seize to opportunity. Apparently, the feeling of affection between us and our wine administrator was mutual because she bagged up two glasses with my purchased bottle, instead of the one that was supposed to come with the tasting fee of $10. "This way, you can come back and get even more free refills," she said jokingly. I wish. The Grgich Hills visit was enough to leave Napa Valley a happy man. It was enough to die a happy man. But we still had two more hours before the last winery closed. Beringer, up north a ways in St. Helena, sounded familiar, like a wine you might find in Walmart. Because our first two were unfamiliar, I figured we should visit a vineyard that rang a bell. It's a conversation piece: You're in the supermarket, you see a bottle, and you say to friend, "Yeah, I've been there." And Beringer and I share a German heritage: even more reason to pay a visit. Our tour guide tells us about the cabernet sauvignon vines, which were used only for show in this case, as he drinks a glass of chardonnay. The grapes of cabernet sauvignon. For $20, we were led on a tour of the vineyard and, along the way, were given four wines to taste. The first was a chardonnay, oddly juxtaposed with a visit to a showcase vine of cabernet sauvignon grapes. The wine was good, but tasting the grapes was divine. 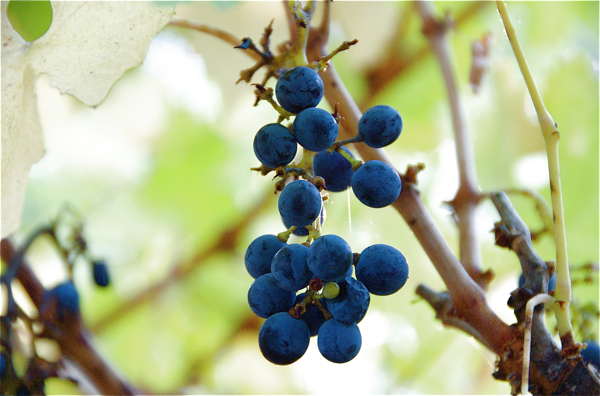 Cabernet is not a sweet wine, but the grapes are so packed with sugars that they tasted like globs of honey. The ones that had turned into raisins were even more intense. If the grapes didn't have seeds, the Sun-Maid girl would be in trouble. One of Beringer's signature brands, Leaning Oak, gets its name from a - dontcha know? - leaning oak. The tree, however, leaned too much and fell over. It's now a large stump that's cut off about 15 feet down its trunk. It serves only as a degenerate monument. 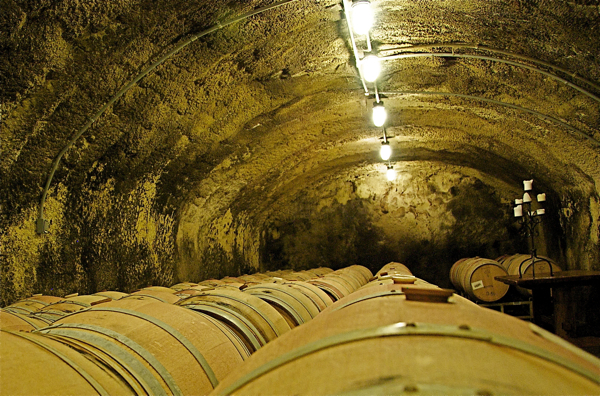 Rows of expensive oak barrels fill the man-made caves at Beringer. 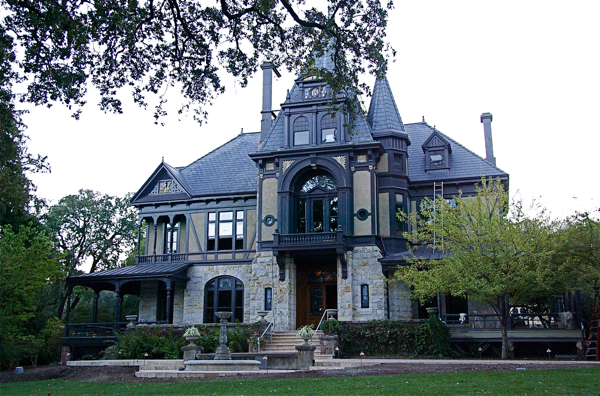 The Beringer mansion, which was closed for renovations. We then went into the man-made caves filled with oak barrels in which the fermentation takes place. The ideal temperature of the caves is 58 degrees. The barrels were imported from Europe and cost more than $1,000 each. They can be used only for three to four rounds of fermentation, then they're thrown out. That makes a bottle of $10 Beringer seem quite amazing. Our tour guide said we were walking on ground once used as a scene in a movie, "A Walk in the Clouds," starring Keanu Reeves. A small storage room for bottles of wine was used as a place for a conversation between Reeves and another major character in the romantic film. Don't ask for details. I've never seen it. My last taste of wine in Napa Valley suckered me into buying a bottle of it. Our tour guide gave us a taste of Beringer's vintage port and a bit of dark chocolate, too. Port is a sweet, extremely tangy dessert wine, so they were excellent complements. "Vintage," by the way, means 2002. And it was aged in those oak barrels for 21 months. Drinking wine and eating chocolate on a vineyard in Napa Valley - we were living high. For the things we did and the expensive area of the country in which we did them, we were fortunate not to go broke on this trip. But actually, the vacation was very affordable. We bought our plane tickets early and didn't stay in fancy hotels. We would've liked to have stayed another few days, visited another 10 vineyards, played another round of golf. But we're journalists - he, a business reporter during a financial crisis in New York; me, a copy editor responsible for an election publication in the swing state of Florida. Day 5 of my vacation consisted of nothing more than travel. But even as my airplane lifted over California, there was one more touristy thing left to do. Thank you for your visit to Grgich Hills Estate. We’re sorry you didn’t enjoy your red wines but we also realize our style is a bit more European, with less jammy fruit and more structure, and not everyone likes that style. One correction: you suggested that the metal tanks are for show. We are a working winery and the fermentation smell that you detected is coming from this tanks, where we pump over the red wines. There is nothing at the winery for show—everything has a function in the winemaking process. We hope you’ll visit again. Oh, there was nothing wrong with the reds. They were great. I just liked the whites more. I was extremely impressed. I took out that one inaccurate suggestion. I know better. By the way, I knew these tanks were being used, but I thought they might be just a small portion of the Grgich Hills operation. I knew they must be in use because of the smell in the building, as you said.